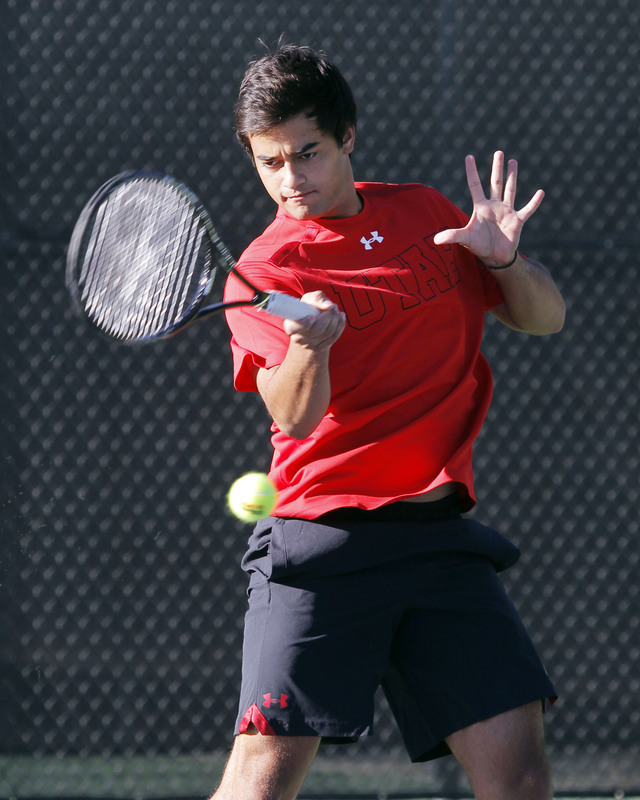 Seattle, Wash. – The University of Utah men’s tennis team (14-5, 2-2) clinched their second Pac-12 victory of the season on Sunday afternoon, defeating the Washington Huskies(10-10, 1-3) on the road, 4-2. “We played yet another competitive match and came up with a great win on the road over a solid Washington Huskies team,” said Assistant Coach Roeland Brateanu. The Utes started the day strong, clinching the doubles point behind wins at the #1 and #3 positions. Washington evened the score at 1-1, after Max Manthou defeated Senior Ben Tasevac 6-1, 6-2 at the 2nd singles position. Michael Chamerski put the Huskies up 2-1 after getting past Matt Cowley at the #6 position, 6-3, 6-4. Cedric Willems tied the match after winning at the #4 position 7-5, 6-4 over Jeff Hawke. Slim Hamza rallied at the top spot to edge Emmet Egger 2-6, 6-2, 6-2, putting the Utes ahead 3-2. Senior captain Alejandro Medinilla clinched the road victory for Utah after defeating Gal Hakak 6-1, 4-6, 6-3 at the #3 position. Devin Lane‘s match against Viktor Farkas was suspended because the match was decided. Utah hosts #5 UCLA on Friday, April 11 at 1:30 p.m. MT and #1 USC on Sunday, April 13 at 11 am MT. Ben Tasevac, Alejandro Medinilla, and Devin Lane will all be honored on Senior Day, against USC. #5 Viktor Farkas vs. Devin Lane (Utah), 7-6, 5-7, 2-1, DNF. This entry was posted in Schedule/Results and tagged Alejandro Medinilla, Ben Tasevac, Cedric Willems, Devin Lane, FD Robbins, Matt Cowley, Pac-12, Roeland Brateanu, Slim Hamza, Utah Utes, Washington. Bookmark the permalink.